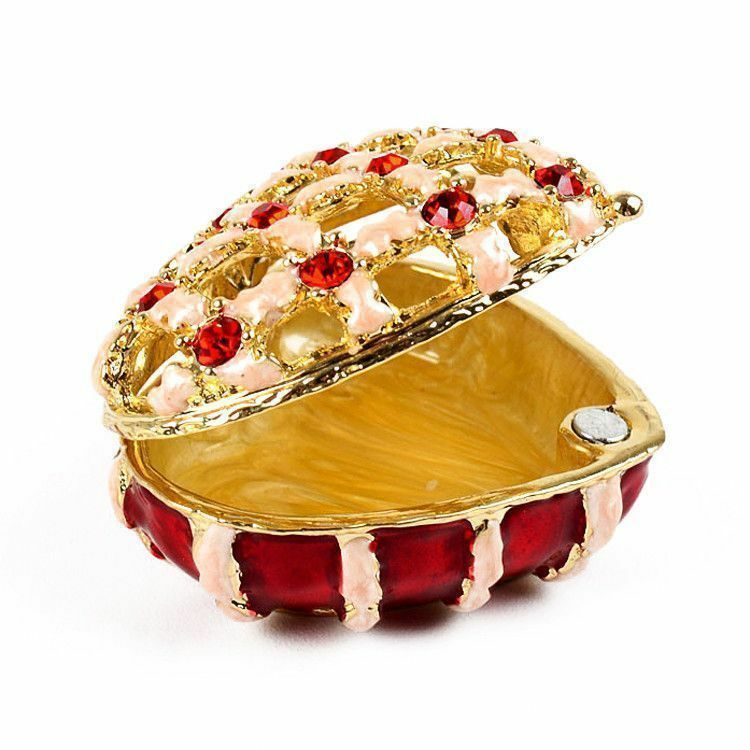 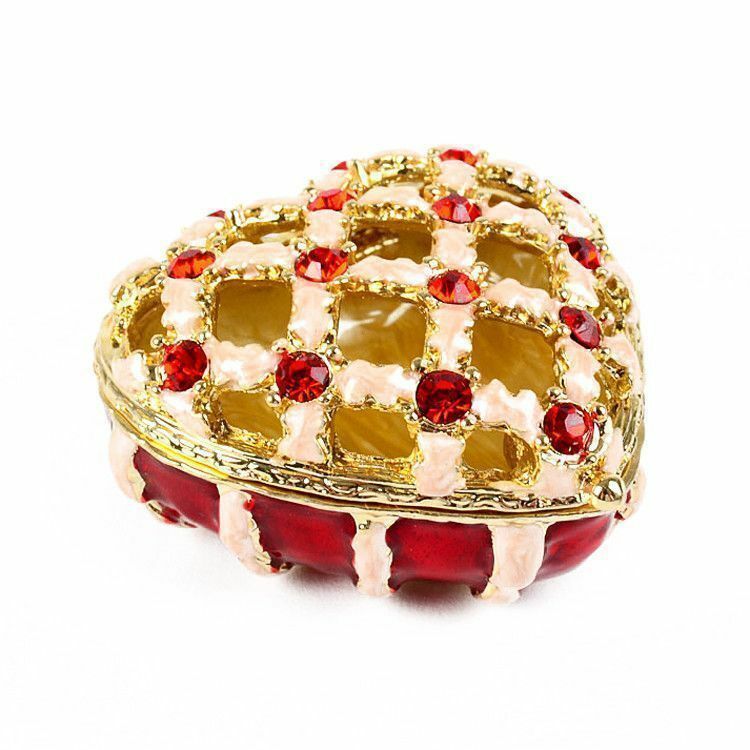 Fall in love with trinket boxes, starting with the classic heart shape. 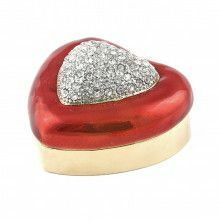 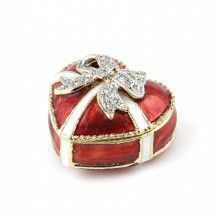 This 2" x 2" heart features a see-through top half and large red crystals. 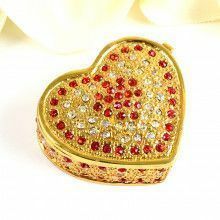 It is also plated with gold and would make a fabulous Valentine's Day gift, or "just because" gift for someone you love. 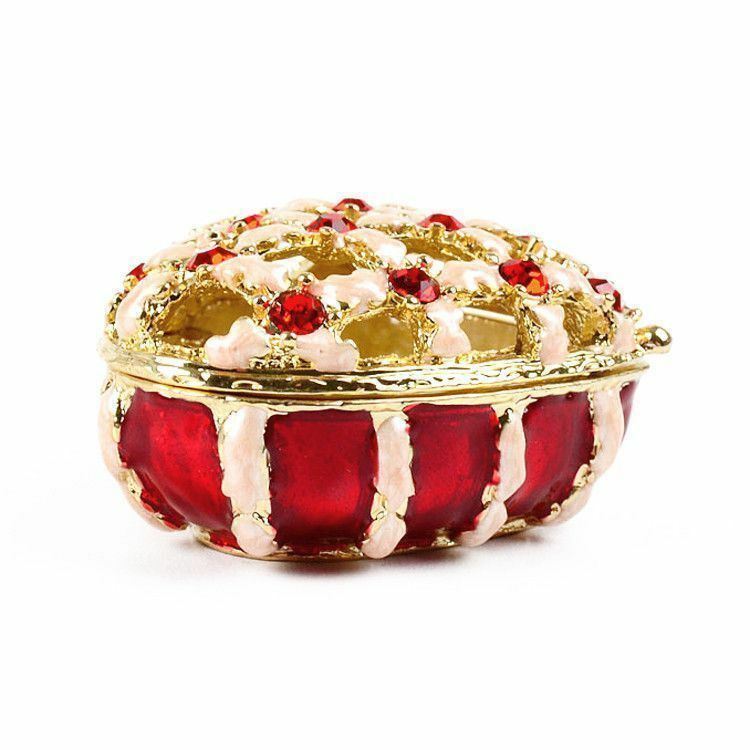 Have fun with the things you could put inside of it! 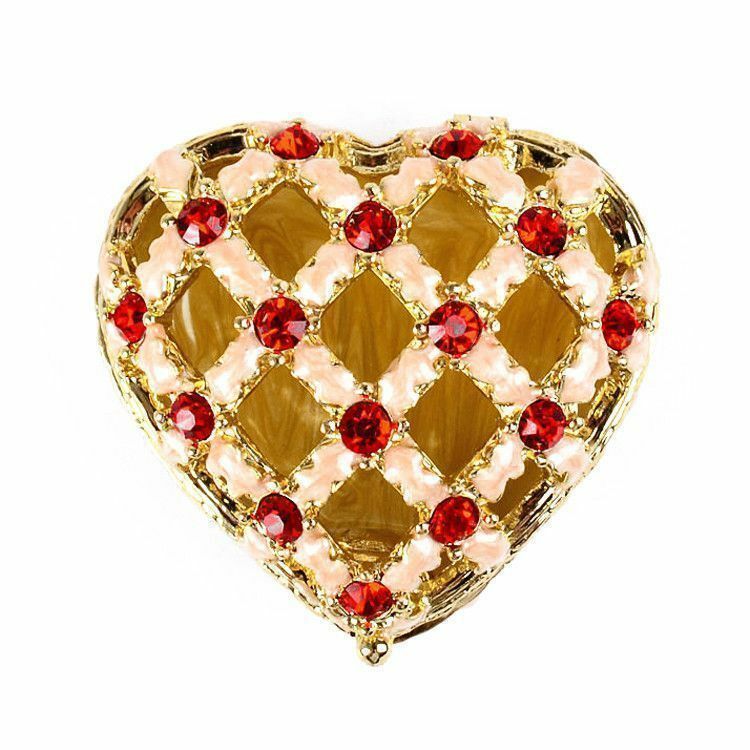 Jewelry, money, a love letter? 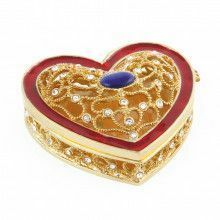 Measures about 2" x 2" x 1 1/4"